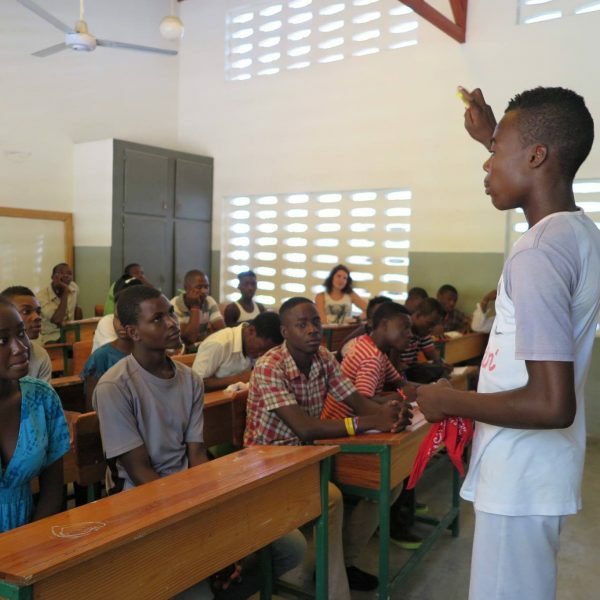 Haiti: Hands On is a nonprofit strengthening vulnerable Haitian communities through innovative education and capacity building opportunities. 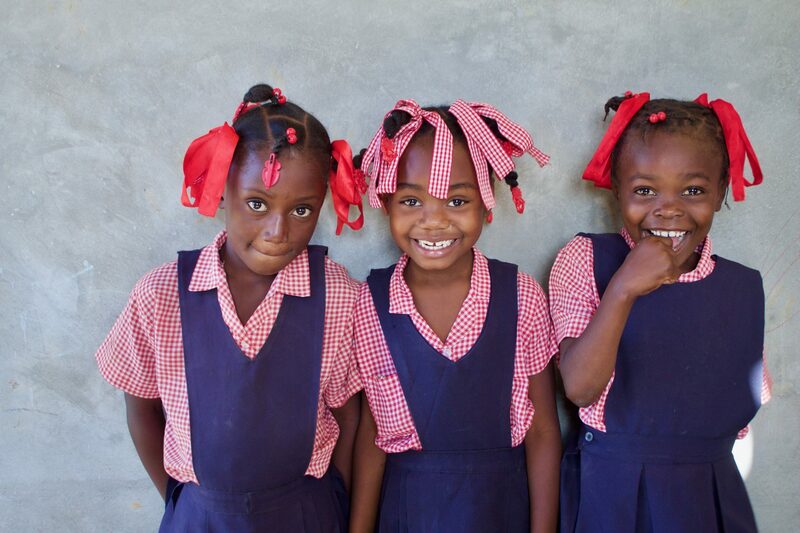 Haiti’s greatest untapped resource is its people. 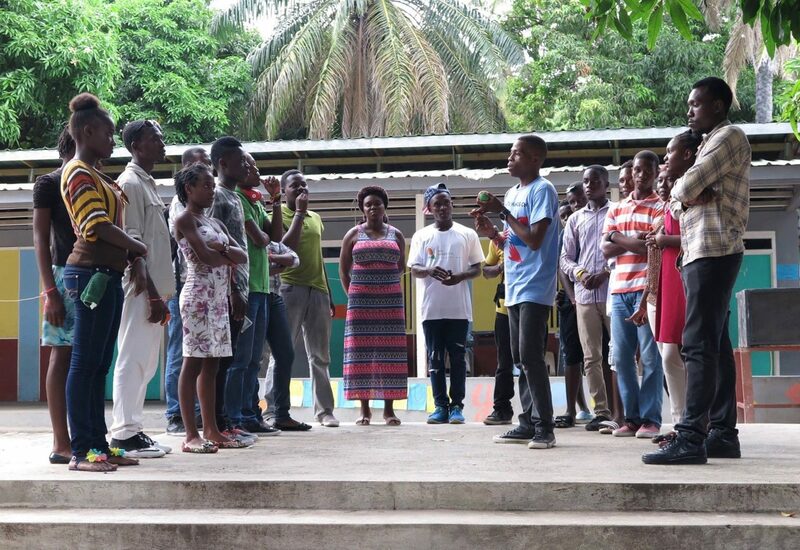 Haiti: Hands On chooses to respect the dignity and potential of each individual. We acknowledge that effective solutions come from those who face the reality of the problems and, as such, strive to cultivate civic engagement, innovation, and sustainability to create true community-driven development. Haiti is the safest country in the Caribbean and 4th safest in the Caribbean and Central America. 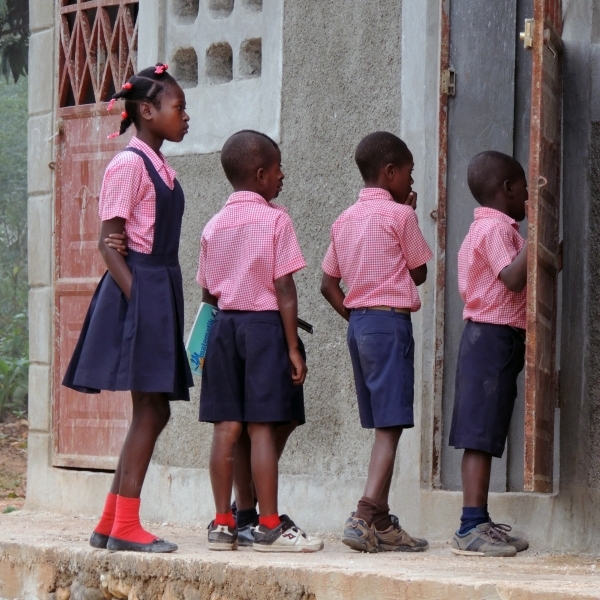 55% of the Haitian population is under the age of 25, and only 29% of Haitians 25 and older attended secondary school. “Haiti, where negritude stood up for the first time to say that she believed in her own humanity." 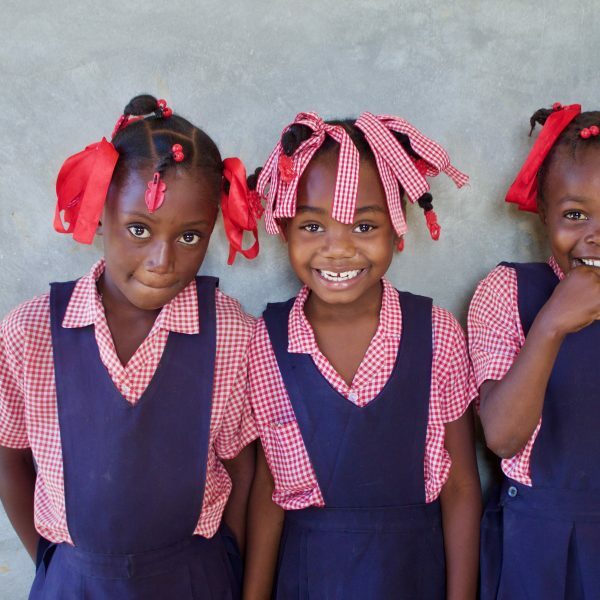 50% of children in Haiti do not go to school. Of those that do, 30% will abandon before third grade, 60% before sixth grade. Haiti is the only nation established through a successful slave revolt, from French colonial powers, and the world’s first formerly colonised black nation. 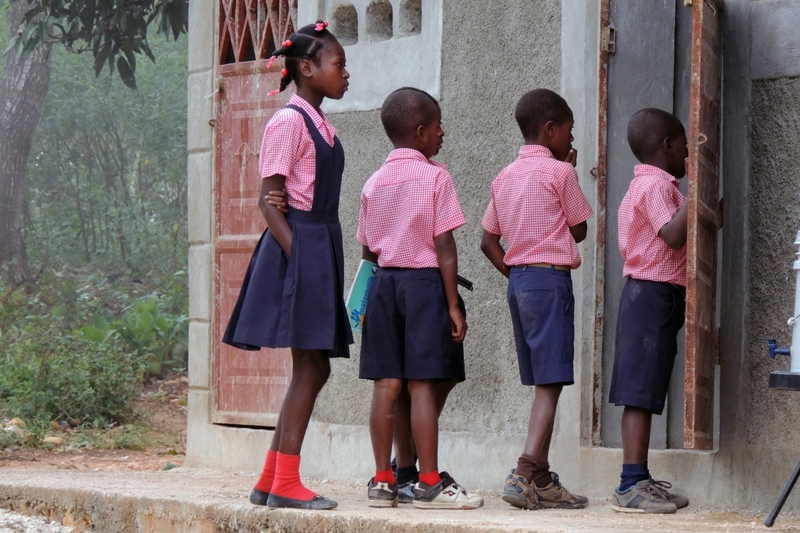 Half of public sector teachers in Haiti lack basic qualifications and almost 80 percent of teachers have not received any pre-service training. After gaining its independence from France on January 1, 1804, Haiti became the second oldest independent nation in the Western Hemisphere, after the U.S.
90% of Haitian primary schools are non-public; the majority of schools in Haiti are managed by religious organisations or non-profits. "In spite of its poverty, its political upheavals, its lack of resources, Haiti is not a peripheral place, its history has made it a center." The Terre Froide Community School is the first school in Terre Froide & first community-owned school in the region, cocreated by strengthening existing human capital. 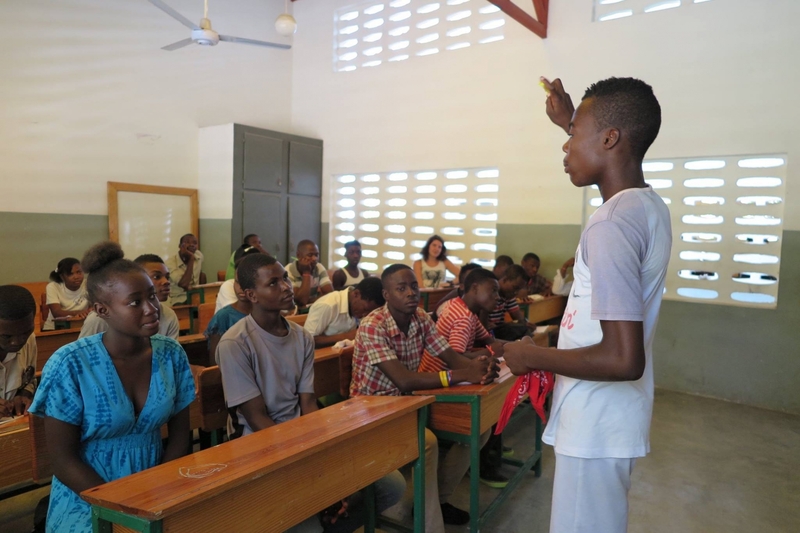 Bringing together youth in celebration of International Youth Day to discuss the issues affecting their communities and learn from specialised workshops. We envision a Haiti developed through local ownership of projects, liberated from its long-standing cycle of foreign dependence. We seek to bring this vision to reality through our community inclusion methods, innovative education model and empowering entrepreneurship programs. We recognise that no one is better equipped to find the solutions to a problem then the people who face the reality of those problems every day. Buy a Shirt & Support Education! Terre Froide Community School… From Above! Join the community! 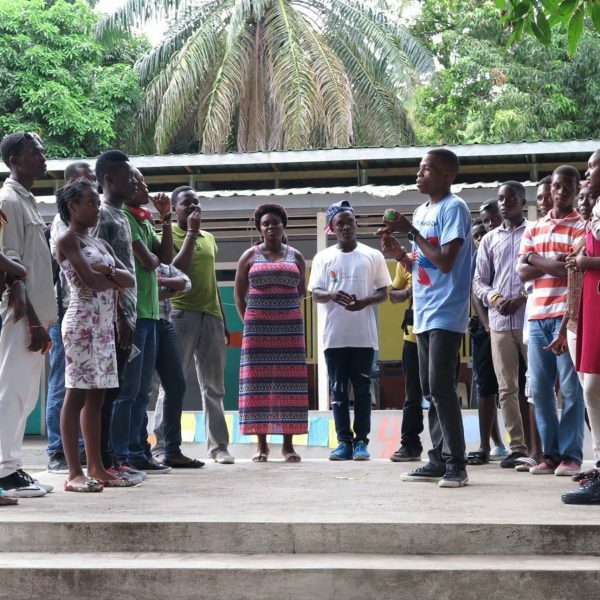 Stay up to date with upcoming events and Haiti: Hands On’s activities.